Designed with added structural strength and with advanced jaw-protection features, the shears can be boom- or stick-mounted and are available in both straight and 360-degree-rotating configurations. 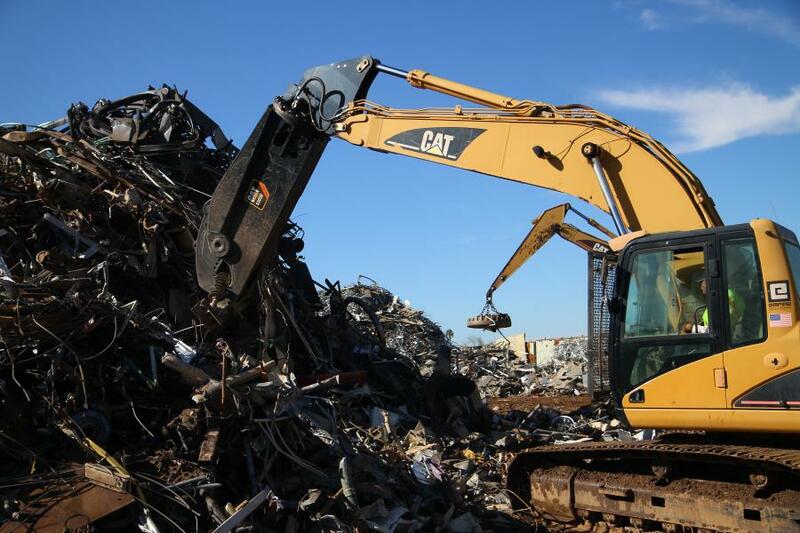 The Cat S2000/S3000 Series mobile shears, designed for hydraulic excavators working in scrap and demolition applications, feature optimum force-to-weight ratios that yield faster cycle times and more cuts per hour, compared with predecessor models. Manufactured from alloy steel that has both superior yield- and tensile-strength properties, as well as substantially greater hardness ratings than T1-type steel, the new S2000/S3000 Series shears are engineered for long, productive service, according to the manufacturer. Designed with added structural strength and with advanced jaw-protection features, the shears can be boom- or stick-mounted and are available in both straight and 360-degree-rotating configurations. The rotating feature allows the shear to be positioned in optimum cutting positions without moving the carrier. Designed for reliability and long-term durability, the shears also feature a fully enclosed cylinder rod to prevent damage caused by material being processed. This protection also extends to the shear's hydraulic lines and hoses. Pivot points within shear are designed with premium materials for long service life, and grease points are safely accessible from ground level. Knife maintenance, wear-plate replacement, and tip build-up can be addressed quickly and easily, according to the manufacturer. The new shear models, designed for Cat excavators with operating weights from 11 to 85 tons plus, also fit competitive machines of similar weights. Caterpillar supports Cat work tools with a comprehensive range of pre- and after-sales services, including selection advice, operator training, equipment management, and a range of financial and insurance products.